A little tangy, a little sweet - these pork chops have great flavor! In a small bowl, whisk together the honey, Dijon mustard, garlic powder and smoked paprika. 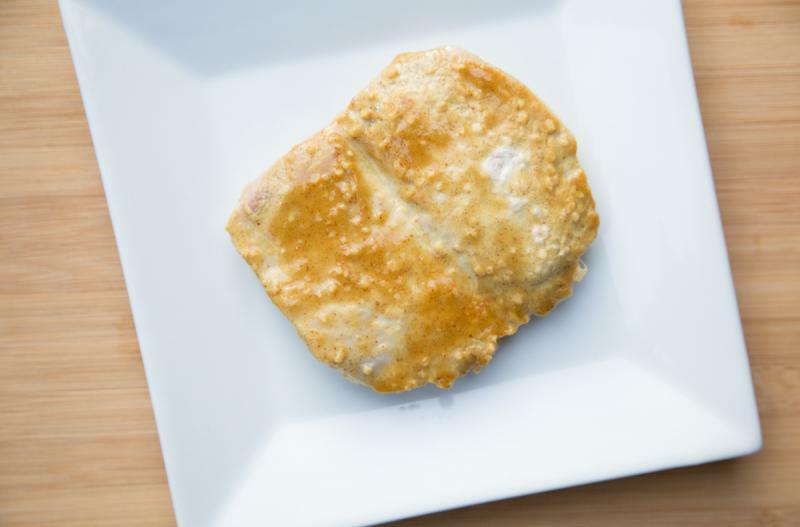 Place the pork chops into the baking dish, season with a little salt and pepper, and then pour the honey-Dijon sauce evenly over the pork chops. Prepare and cook the mashed potatoes. Serve Honey Dijon Pork Chops with mashed potatoes and veggies. In a small bowl, whisk together 1 cup honey, 1 cup Dijon mustard, 2 tsp garlic powder and 1 tsp smoked paprika. Put baggie in the freezer and freeze up to 6 months in fridge freezer or 12 months in a deep freezer. Thaw in the fridge overnight, or a warm bowl of water for about 20 minutes, before transferring pork chops and sauce to baking dish and baking as directed. Thaw and transfer the ingredients to baking dish and bake at 350 F for 25 to 40 minutes, or until pork chops are cooked through.